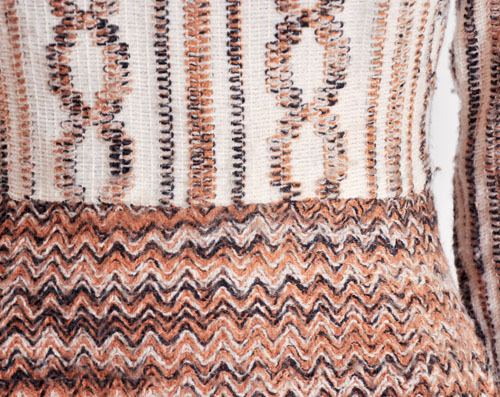 70s semi-sheer autumnal rainbow stripe crochet maxi dress. Ultra Long with striped pattern. 70s vintage maxi dress. Sheer crochet cut out design in several colors. Slip hourglass silhouette. Off shoulders neckline. Unlined. Back zipper closure. 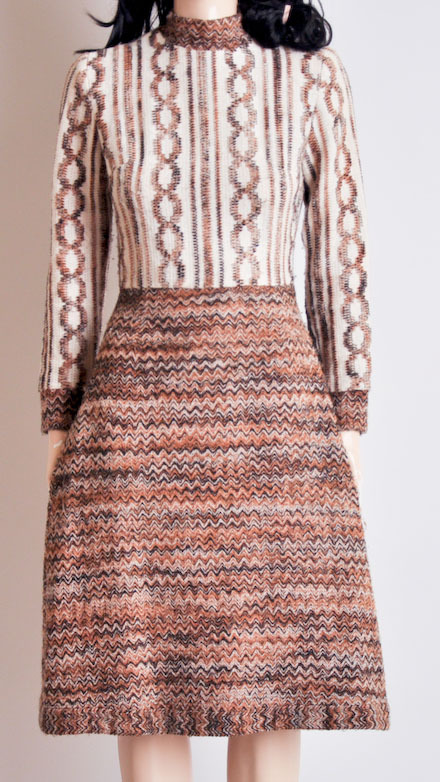 70s woven missoni-style dress. Fitted bodice, mock collar, cable knit design. 70s Vintage Crochet Knit and Suede Hippie dress. 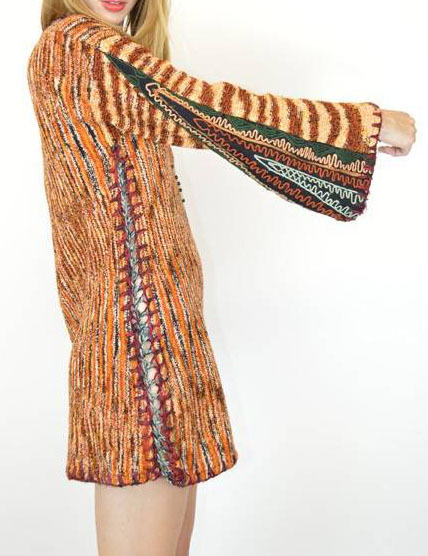 70s Hippie Crochet cut out sweater knit mini dress. Deep v neckline. 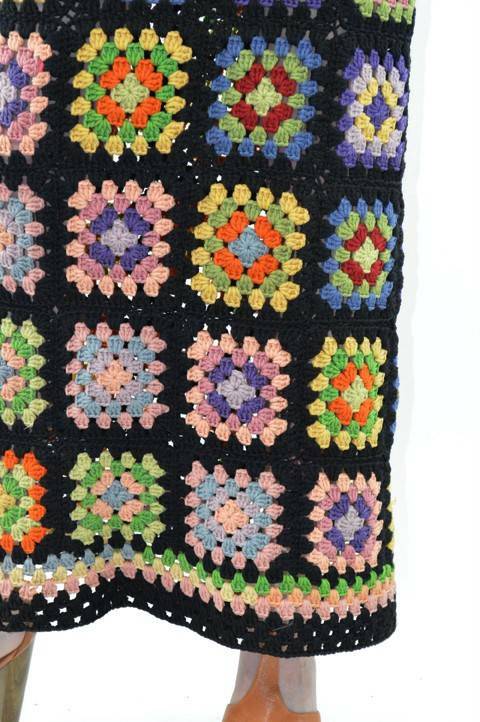 Sleeves with tribal embroidery. Peek-a-boo crochet side seams. Slip on. Longer sleeves. 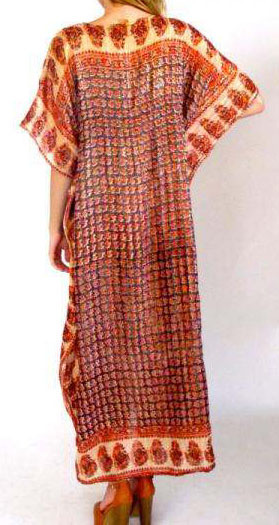 70s ethnic India semi sheer cotton hippie mexi dress. 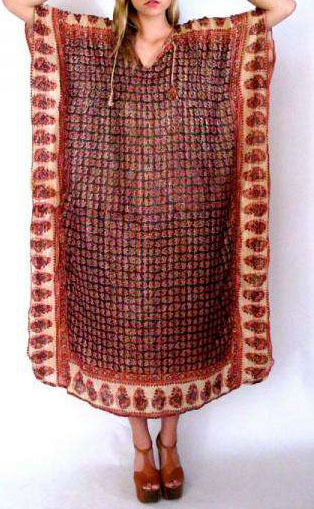 Mettalic threads.